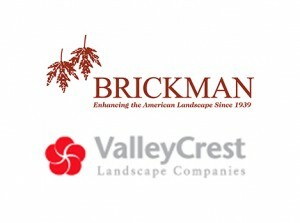 Earlier this week, the Brickman Group and ValleyCrest Cos. officials put a month of rumors to rest when they said they would merge, creating a nearly $2 billion company with a national footprint and offices on two coasts. The companies, based in Rockville, Md., and Calabasas, Calif., respectively, are the two largest landscape service providers in North America. 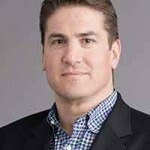 Brickman CEO Andrew Kerin will become CEO of the yet-to-be-named joint company. 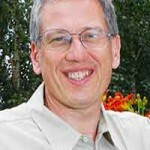 ValleyCrest CEO Roger Zino will become vice chairman. Landscape Management spoke with the two executives in a joint phone interview to gain some insight on the deal. No members from the companies’ founding families will be involved in the joint entity’s operations, although both retain some ownership. Kerin sees potential for organic growth and said the company will consider strategic acquisition opportunities. The landscape market is in a good position. “People are building again. People are improving again. There’s a greater commitment to great landscapes out there than we’ve seen in years,” Zino said. LM: How long has the deal been in the works? Andrew Kerin (AK): One of the things you’ve heard from us before, we’re continuously evaluating strategic opportunities. We do that with our eye on what’s best for our people and our clients. Roger, myself, our teams, (majority owner) KKR and (minority owner) MSD have been able to have conversations over the last couple of months and have come to a place we’re very pleased to be in. LM: We’ve heard already the Sperber family (retains some ownership but will not be involved in operations. How about the Brickman family? AK: There are no Brickman family members involved in the operations. But we’re very pleased the Brickman family continues to have an interest from an ownership standpoint and they’ve been supportive and wonderful folks to work with. LM: These two companies often are credited with legitimizing the landscape industry as a profession. How do the founders’ legacies live on in the companies and will that continue in the combined entity? RZ: Both companies are very passionate about our histories and our legacies and are very committed to moving that forward. The way I’d describe it is a commitment to the core values that have built the companies. These core values are taking care of our people and developing great careers, doing great work for our customers and just being supportive in the profession of the landscape business. That commitment to the values of founding families in both companies is deep and prevalent throughout our organizations and we’re very excited about continuing that. AK: The only thing I’d add to that is these two families are really pioneers in the industry. The way you honor that legacy is by continuing to improve the opportunities for our teams and enhance the service to our clients, but as importantly, to continue to shape the professionalism and opportunities that exist in the Green Industry. That’s something our teams are committed to. LM: What’s the growth outlook for the combined companies? AK: We see growth opportunities in a number of places. First and foremost, we see it in the trusting relationships we’ve built with our clients and the opportunity to expand service to them. When you think about the comprehensive nature of the combined companies, whether it starts with design all the way to maintenance and enhancements, we’ve got wonderful opportunities to focus on our core clients. The second area, we have incredible depth in the industry verticals we serve, whether that’s education, corporate campuses, hotels and resorts, homeowner associations (HOAs), public parks and spaces. We see each of these verticals as a really great opportunity to bring solutions, not just services, to our clients by having a level of expertise and knowledge about what really matters to their customers. So we’re incredibly excited about what’s in front of us in the landscape and snow services businesses for growth opportunities. RZ: First of all, the timing of this partnership is ideal. This is a great time for the landscape services business, as our customers are very excited in investing in their properties. People are building again. People are improving again. There’s a greater commitment to great landscapes out there than we’ve seen in years. Second, I think our combined entity’s ability to take care of the full life cycle of a landscape—design, build, maintenance, LEED design, upgrades—is unparallelled. The timing and that broad set of capabilities is just a dynamite combination. It’s also an exciting time for the people at both companies. We look at it, as the leaders here, as our opportunity and responsibility to advance the profession of landscaping. It’s a wonderful and very skilled profession. We want to use this platform to continue to advance the way we do things. Secondly, we have a bit of a passion to help our society at large appreciate the skills and capabilities of our people along the way. We think this is a great opportunity to continue to communicate that. AK: There’s been some question and conversation about the growth. Importantly, Roger and I and the team have put a lot of time into recognizing that when you go back to the family founders and the legacy, it’s been about providing great opportunities for the people who work at these companies. One of the things we’re completely committed to, and quite certain of our ability to achieve, is more growth and opportunity for the people who get out there who go out and do the work every day and for our management team. That comes with growth and with growth comes the freedom to be able to invest in those folks and do more. LM: How will you address the overlap in people and in markets? AK: The coming together of these two companies is built on a foundation of growth. With growth comes more opportunity. When we look at where we have density, we believe there’s opportunity for further growth and for folks who continue to want to be part of a great organization, there should be opportunity for them. LM: Do you anticipate acquisitions will be a part of the strategy in the next year, or will it be more organic growth? AK: We think there’s a tremendous amount of opportunity to grow organically. We think our value propositions independently were very strong and we believe collectively they’ll be even stronger both with current clients, new clients and, importantly, moving to greater solutions around the external environments and the beauty we create. Secondly, we will continue to evaluate strategic opportunities that add opportunity for growth for our folks and ways which we can better serve our clients and better advance the industry. LM: What do each of you see as the primary challenge before you? AK: Any time you do anything like this, you can call it a challenge or call it an opportunity. I’d cut it in two ways. The first, I’d say, the challenge every day has always been and continues to be for our folks to get up, do great work and, most importantly, do it in a way that keeps them and our customers safe and delivering the great outcomes we’ve talked about. From an opportunity standpoint, it’s around our people, around our clients, around the industry, around combining sustainable practices for a better environment and providing the level of growth and the return we all expect as owner-managers and for our partners. RZ: The thing I really look forward to, I’m very excited for our full organization to be able to engage with each other. The sooner the better. I wish it could happen all at once. It takes a little bit of time, but as the full organization combines and connects, I think that will only continue to increase the level of excitement we have and I just wish it could happen faster. LM: How long will it take before the entity is unified smoothly? AK: We’ve got a very defined process. I think the important answer is there’s a pace and cadence to make sure as we bring these two great organizations together we do so in a way that not only honors the legacy but enables our people to be successful and stay focused on our clients. LM: I’ve heard people in the industry say the cultures of the two organizations are different. Can each of you describe your own company’s culture in a few words? RZ: I find it interesting to hear that comment. As we’ve spent time together, we’ve found a lot in common in our culture and our values. We both come from family pioneer companies. I think that we’re very defined by our values. As ValleyCrest, I’d define our values as very committed to our people and creating great opportunities and careers in the Green Industry. Second, we’re deeply committed to our customers and having a trust-based professional relationship with our customers. And third, there’s a fundamental commitment to the profession of landscaping and gardening and continuing to advance that every day. It’s about our people, it’s about our customer and it’s about our commitment to the profession, and that’s very embedded in all our people. I haven’t seen a whole lot different from the people I’ve had the pleasure to spend the time with at the Brickman Group. AK: I would echo the same. For Brickman, it’s been about keeping people and clients at the center of everything we do. What we share together in an absolute and fundamental commitment to safety is critically important. When we look at our values around teamwork and excellence, but even in honestly and respect and trust, they are sometimes the same words used at ValleyCrest and sometimes different words, but importantly, we share an incredible commonality and purpose. The purpose to provide beautiful landscapes for our clients and their customers, the purpose of advancing the profession and the industry and the purpose of enhancing the environment from a sustainability standpoint are all cornerstones of why we all get up in the morning and do what we do. RZ: To the question earlier about timing, in the area of values and purpose, on day one this will be very unified and integrated because it’s already there.